Has that great feeling you had while on vacation already disappeared? Several studies have shown that vacations have a strong positive impact on people’s health and well-being, but these beneficial effects tend to fade quickly. One study found that a vacationer’s self-reported health and well-being returned to baseline on the first day back. Others studies have shown decreased levels of exhaustion up to three or four weeks later, but the positive effects of vacations on health and well-being generally appear to be quite short-lived. With the summer holiday season coming to an end it seems an appropriate time to examine the health effects of vacations. Do vacations make people healthier? How long do these effects last? And the burning question: how many days of vacation per year are good for our health? The health effects of vacations are surprisingly under-studied, although there are several studies that can help us tentatively answer these questions. 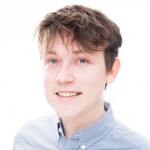 A meta-analysis undertaken in 2009 found a total of just seven studies, many of which unfortunately have issues that temper how applicable their findings are… This lack of research and good quality data limits our ability to conclusively answer questions about vacations or to make vacation policies based on health evidence. But, vacations do appear to make people healthier. When people go on vacation their self-reported health and well-being gets a strong and fast-acting boost. There are many indicators that researchers have used to track health and well-being including level of exhaustion, health complaints, and life satisfaction. Multiple studies have shown that all three of these indicators improve significantly while we are on vacation. Relaxing free of work and engaging in activities we like seems to make us feel good. But after vacation we return to work and the positive effects people feel disappear. Despite the quick return to baseline levels, we still experience significant health impacts while on vacation. That might be the reason why a few studies have found people who go on vacation are physically and mentally healthier than those who do not. A nine-year Massachusetts study on middle-aged men with a high risk of heart disease found that those who vacationed frequently had significantly lower chances of getting sick or dying from cardiovascular causes. However, vacations did not statistically protect these men from other, non-cardiovascular causes of mortality. So it may very well be that going on vacation is good for your heart – at least if you are a middle-aged American man with a high risk of coronary heart disease. Another study found that going on vacation is good for your mental health. This study found that the more frequently participants went on vacation the less likely they were to be depressed, feel tired or exhausted, or be unsatisfied with their marriages. Mind you the sample was 1500 rural women in central Wisconsin, and 1438 of the participants were white. While these results should be taken with a grain of salt, they seem promising. After controlling for income, age, education, and smoking, vacations were statistically associated with better health and well-being. So how often and how long should we be going on vacation to reap these health and wellness benefits? That’s trickier to answer given the research we have available. In regards to how often, the two studies cited above found that more frequent vacationing is associated with better health and well-being. These studies found that going on vacation “twice or more per year” (tell your boss this) was the best for coronary and mental health. And what do the studies say about the how long our vacations should last? There is some evidence that the pinnacle of a vacationer’s health and well-being is in the “core phase” of their vacation: once they have gotten in the groove but before the impending end of their vacation is really felt. For summer vacations longer than 14 days (the average being a lovely 23-day European-style vacation) one study found the zenith of health and well-being was day eight. Overall, the length of vacations did not seem to have a significant effect on the positive effects people felt. It is easier to go on more frequent vacations if you have access to more vacation time. 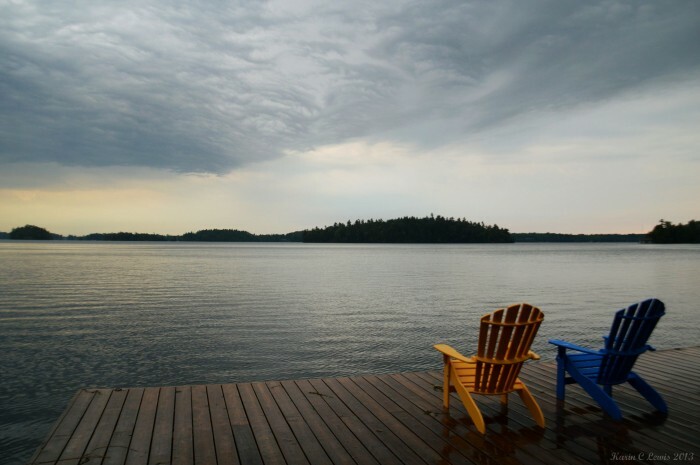 In all but one Canadian province workers have access to a minimum of two weeks of vacation per year. The fine and lucky people of Saskatchewan have three weeks. However, in an international comparison three weeks is still quite low: the average amongst OECD countries is close to four weeks. Since 1993 workers in the EU have had a minimum of 20 days of vacation per year and workers in France enjoy 30. Only one high-income country does not have a minimum number of vacation days: the U.S., also known as “No-Vacation Nation.” Zero is quite a ways from the 15 days of minimum vacation that the International Labour Organization (a UN agency) recommends. Note: Does not include public/statutory holidays which can vary by sub-national jurisdictional boundaries. We don’t all have the same amount of vacation time, and as a result we likely don’t all experience the same health effects. Precarious work arrangements have a number of negative impacts on workers, one of which is significantly less access to vacations. Part-time workers have less access to vacation time compared to full-time workers. The same is true for those who work non-standard hours, work for lower wages, are not covered by a union, and who work in temporary positions. The number of workers in temporary positions in Canada surpassed 2 million in 2012, up to 15.4% of workers from 12.7% in 1997. In 2012 the Ontario Ministry of Labour set out on a series of inspections of temporary work agencies and found that 72% of agencies had broken labour laws, $3.1 million was owed to workers, and the most common types of violations were for vacation and holiday pay. 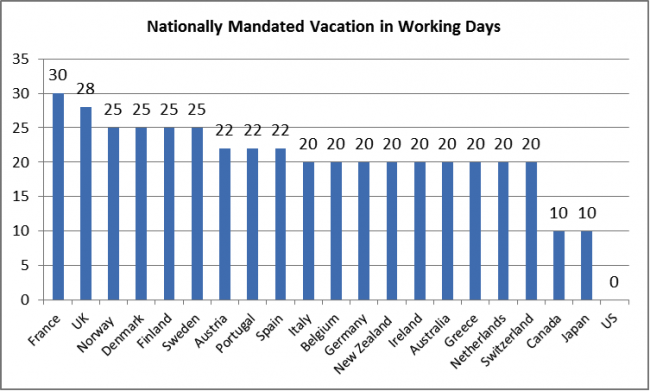 Minimum vacation policies tend to improve the unequal distribution of vacations. Extending minimum vacation time and applying it to all workers could plausibly improve the health of Canadians. While more research is needed for a definitive answer, perhaps its time to add another week or two of vacation to our annual minimum. And if you are still on your summer vacation enjoy it while it lasts.